If you’re staying in Honolulu, there’s no better place than on the Waikiki Beach strip. With beach access, top restaurants, and luxury shopping all within walking distance, this area is also very expensive and high-end. That being said, for those who know where to look, there are some affordable hotels in Waikiki. 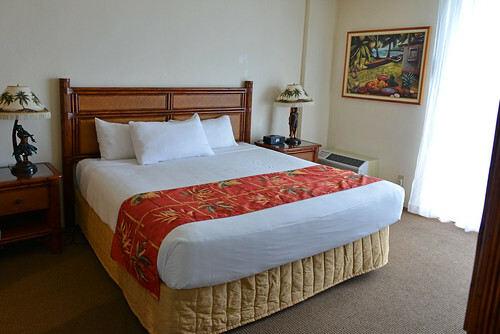 Here’s a list of the top five cheap hotels near Waikiki Beach. I bet you that you haven’t even heard about these places. If budget is what you’re looking for, it doesn’t get more affordable than Holiday Inn Express Waikiki (formerly Maile Sky Court). What you gain in money savings, you sacrifice in terms of location and amenities. On Kuhio Avenue, the hotel is on the far west end near the Ala Wai Canal. You’ll have envious ocean views, but the no-frill rooms might be outdated, and all-important Wi-Fi is only available in the lobby. The hotel does, however, have a pool and jacuzzi. This hotel’s rates start as low as $59 a night. 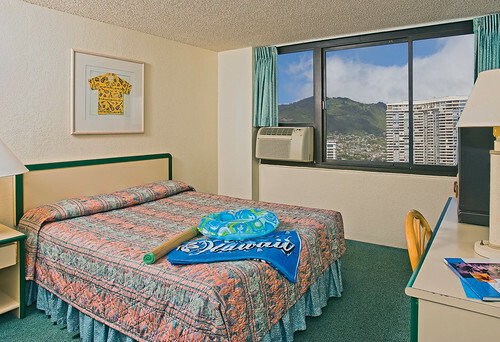 Situated right by Maile Sky Court, the Luana Waikiki can be had for as low as $123 a night. The hotel is farther from the beach, but it offers guests free shuttle service to the Ala Moana shopping center. The catch is that all rooms include a mandatory “hospitality” fee, which gives you access to Wi-Fi, daily coffee and tea service, beach towels, and foldable bikes for getting around. 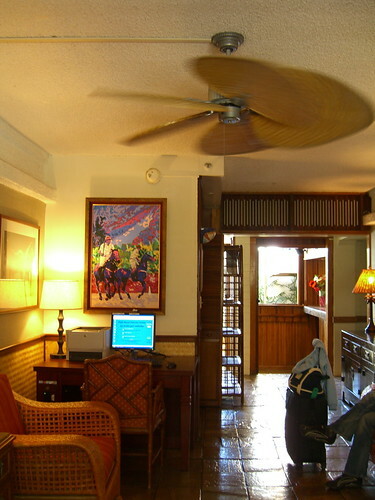 If you’re looking for a centrally located hotel, consider the Ohana Waikiki Malia. Conveniently situated near restaurants and shopping, you’ll have quick access to all Waikiki’s main attractions. All rooms are clean, well-appointed, and comfortable. The Ohana charges an “Ohana Waikiki Connection Fee,” which includes Wi-Fi, 15 minutes of free long distance calling to Canada or the United States, and unlimited access to the Waikiki Trolley Pink Line. The famous Marukame Udon restaurant is only two blocks away. With prices as low as $99, The Equus Hotel is another worthy budget hotel. This stylish establishment is the farthest west of the hotels mentioned, but it has a bus stop across the street, and the Ala Moana Center is only a 15-minute walk away. Just note that the property is not wheelchair accessible and has a tall stairway up to the main lobby. The Equus charges no resort fee, and Wi-Fi is free. 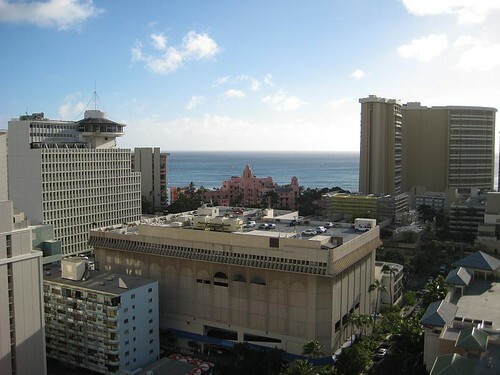 This hotel has access to one of Waikiki’s cheapest and most convenient parking garages. Although not included with the room, parking is only $15 a day, whereas parking at other hotels typically starts at $35. The Aston at the Waikiki Banyan features a suite-style layout, and rooms have access to full kitchens that guests can use to save money on meals. You can use the property’s grills for an $18 amenity fee. The rooms, although slightly outdated, also include Wi-Fi. Suites start at $139 a night. Everyone always talks about Honolulu being an expensive place to stay but to be honest if you know where to look, there are deals to be had to make your stay easier on the wallet. Hopefully this helps to find you cheap hotels in Honolulu but definitely check out other places based on your trip criteria. Once you’re in Honolulu, you’re going to want to know what to do in Honolulu in 2 days or where the best shave ice is in town. If you have any questions just drop a comment below. How is the customer service and quality of food at THE EQUUS HOTEL? They’re always really good and reliable. Food is good but I would recommend trying out other restaurants in Waikiki if you’re looking to have a special dining experience. Great post! We have been talking about going to Hawaii many times but never gone because its to expensive! Thanks Jessica! 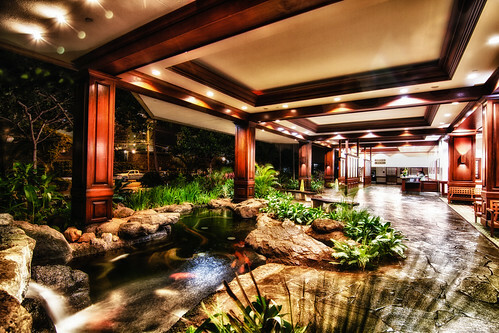 The funny thing about Waikiki is just how easy it is to find cheap accommodations. I think people automatically think of the grand resorts but there are so many other ones to pick from! Will I can’t believe you found a hotel in Hawaii for only $59 a night! Anywhere! THat is well done my friend. We never visited but my wife’s sister did her honeymoon there 2 years ago. She paid an arm and a leg, and didn’t even do the luxury experience bit. HW can be a bit expensive so we prefer the South Pacific, or here in Bali, as a less expensive change up. OK it’s cheap lol….last night for veggies, snacks and some other supplies we paid $3.40….gotta love the strength of the USD vs the Ruppiah. Thanks for the share Will and keep on inspiring! The Equus Hotel looks nice. A nice helpful list, as usual from you guys. We stayed in an apartment in Waikiki Banyan that we booked through Airbnb. It was great! Location was excellent as were the facilities. Everything in Waikiki is kind of a bit dated and time warpy but our condo was renovated. It’s really popular with Japanese tourists and we had lots of fun meeting and playing with Japanese families in the pool area. Awesome! Glad you had a good time at the Waikiki Banyan. Did you get a chance to use the BBQs as well? Another great alternative is Airbnb! We have a great, airy and bright studio for $99/night and has kitchen facilities 🙂 A fun alternative to a traditional hotel stay! That is very true! I actually researched a few Airbnb properties in Honolulu for another writing piece and found some incredible ones for hotel-comparable prices or less. Jill is that your property? Yes, that is my property 🙂 I’d be flattered if you featured/mentioned it! Thanks and Aloha!